New Upland Homes from $492,000 Explore a new life with plenty of lifestyle. Enjoy an abundance of amenities, places to play and relax, and easy access to Los Angeles and San Bernardino jobs, mountain and desert resorts, shopping and year-round recreation. At Westridge at Sycamore Hill a rich life and exciting lifestyle start right outside your front door. Download BrochureVisit Our Models Today The beautiful model homes are now open. Tour today for a taste of life at Westridge. 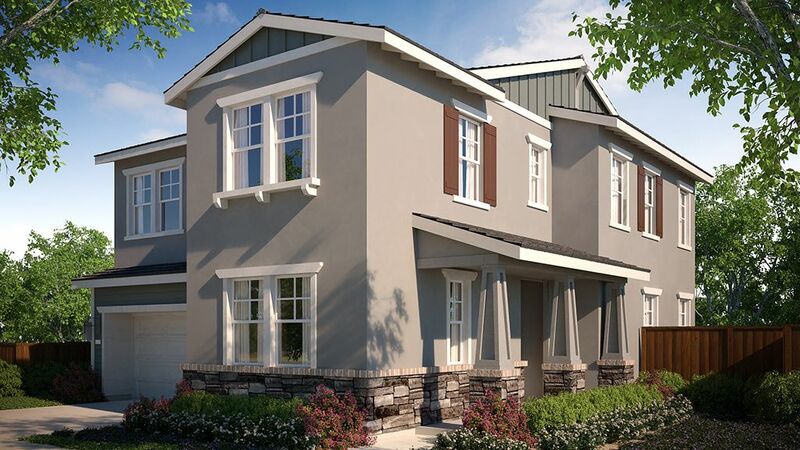 Sales Center: 1636 Burlington Place, Upland 91784 Driving DirectionsA New Upland Master-Planned Community Westridge at Sycamore Hill will provide sought-after new Upland single-family homes in a brand new, highly walkable master-planned community. And what a master plan it is! Sycamore Hills will feature an upscale shopping center with everything you need for every day. Boutiques to browse for fun fashions. A friendly full-service pharmacy (CVS). Casual spots to grab a cup of coffee (Starbucks), a quick bite or a leisurely meal. A brand new Whole Foods market for groceries and gourmet goodies. An amenity center with fitness center, lap pool and clubhouse. A planned city park.A New Neighborhood by Taylor Morrison Our Westridge plans call for 145 single-family Upland new homes for sale in two collections ranging from approximately 1,621 to 2,361 square feet, with the popular included features, design elements, flexibility and quality construction Taylor Morrison is known for. Within your neighborhood we've planned a pool, playground and pavilion-the perfect place to make new friends and enjoy the good life.Explore the ModelsAvenue Plan Three Avenue Plan Two Linden Plan Two Linden Plan ThreeTop-Notch Public Schools If you have school-aged kids you'll be glad to know they'll attend great Inland Empire schools.